This commentary is a response to the recent piece titled “Casual fascism” by Peyton Dillberg which was published in the Paisano newspaper on April 10, 2018. That piece defends the right to voice views of white supremacy and takes the position that neo-Nazi hate speech should be allowed under principles of free speech. It should be made clear that allowing white supremacists and fascists the ability to spread their message is, in fact, one and the same with supporting them. Doing so is granting them a platform to spread hate speech; their message is one of racism and vitriolic hate, and that has no place here at UTSA. I would like to take a moment to first recognize that the Opinion section of the Paisano is specifically meant to be a representation of the opinions of the community, and not that of the Paisano itself. My problem lies with the fact that regardless of whether the Paisano officially ‘represents’ these views, the Paisano is giving a voice to people who are taking the side of white supremacists and neo-Nazis. I do not think that under any circumstances this is permissible. I fully respect the right of conservative and liberal viewpoints to be published within the Paisano’s Opinion section; but, giving a voice to those who promote hate is a different matter entirely. A dialogue can exist between left-wing and right-wing individuals without allowing hateful perspectives of fascists into the discussion. This is a matter of civil discussion; fascism and white supremacy are by their very own definitions uncivil and have no place in respectable and civil discourse. Returning to the piece itself, “Casual fascism” goes on to openly insult the Campus Climate program, as well as the Student Action Coalition, which seeks to promote safety for students – regardless of the success rate of those initiatives, it claims the safety of students is merely “superficial” and dismisses a push for student safety as “a facade in order to quash free speech.” This is nothing more than white supremacist apologia. Not only that, but the author goes into his personal political views, stating that “transgenderism is a mental disorder.” In any context, this language is disgusting and openly transphobic, and I should not ever see such a bold-faced opinion of open hatred in my university’s newspaper especially as a transgender woman myself. That is unacceptable. This is hate speech, plain and simple. I think that a newspaper in favor of inclusiveness should strive to remove hateful comments such as these during the editing process. You can make the argument that allowing this speech is necessary in giving an equal platform to everyone, but allowing people to use phrases like this, which target and denigrate underprivileged demographics such as transgender people (and also in the article, pregnant women and racial minorities, albeit slightly less directly) is promoting harmful behavior and leading to the further propagation of discrimination, plain and simple. There are people on campus, myself included, who have found themselves directly insulted due to this article in the Paisano. If I am a student at UTSA, I should not be reading published opinions from a UTSA newspaper that serve to degrade and dehumanize me. 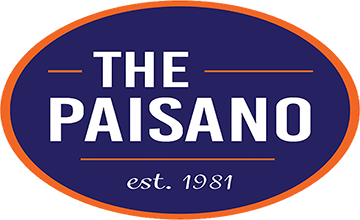 This piece was originally written as an e-mailed complaint, and as a request for the removal of “Casual Fascism” from further printing of the Paisano, as well as from the Paisano’s website. At the very least, I wanted the hate speech removed from the article. I still stand by that opinion, as I find hate speech heavily detrimental to the communication and debate process, but my main goal in publishing this is to point out the flaw in the argument found in “Casual fascism” and explain why claiming that “even fringe groups such as neo-Nazis” should be given a voice, is not only a troubled idea, but also a flat-out incorrect one. Doing so does not promote a safe environment at all – it does nothing but threaten the safety of others. “Casual fascism” calls for the safety of white supremacists to voice their views, but in the process, it completely ignores the safety of minorities who are threatened by the views of white supremacists. I refuse to respect the ‘free speech’ rights of an individual who wants to use it to discriminate against me. Period.